Everywhere we are surrounded by ancient rocks piled in walls and houses and churches. 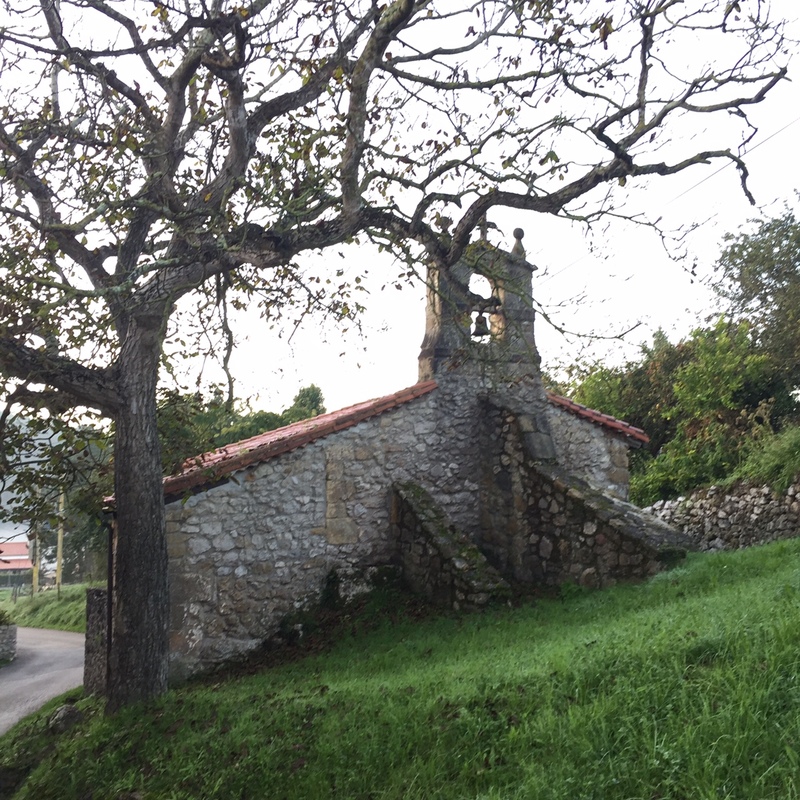 “Oh that’s only 17th century,” I said of the small village church. “Did you really just say that,” Sonia replied. We have seen so much that is so old, and so much of it that is still in use. Much like the path we are walking. In God’s time old and new are alike. We make the distinction and we give it meaning in places that it doesn’t deserve and take it away in others. What we need to do is leave it all up to God. Today we continued with the ups and downs of the journey. We have had several days of beautiful sunny weather, and the rain in Spain falls mainly on the plain – where we clearly are not. Misty valleys, friendly donkeys, a picnic on the beach interrupted briefly by a spear-fisherman with a fish fanny pack. Each corner and each hill become an opportunity to see something new. The journey is about giving it up to God. It is about letting go of expectations. I am struck by how much time is spent walking and living. Sonia and I both had big ideas about all that we would accomplish. Our Kindles are loaded wth books to be read and we were going to study Spanish. Instead we walk, and look at piles of rocks. Rock beats scissors and, and scissors beat paper, so rock always wins? At least that is what will be left for others to see.